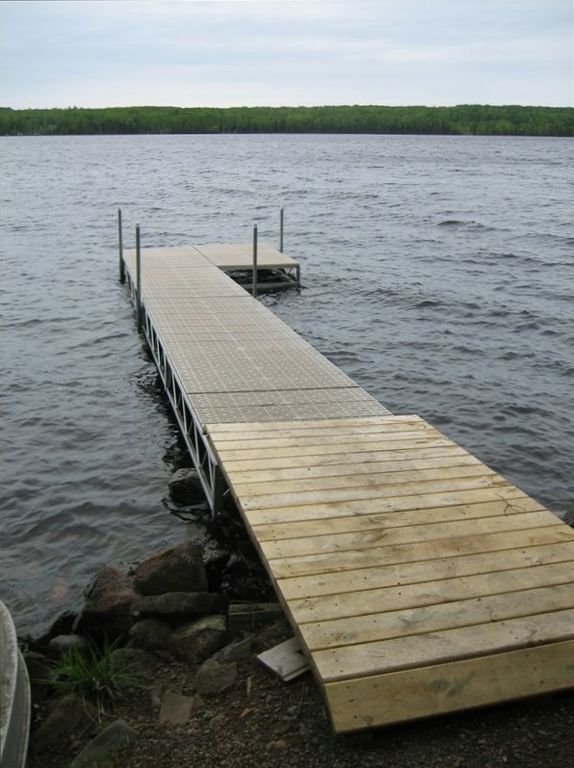 Bring the family or a group of friends, fish off the dock, swim in the clean clear water, roast s'mors over the bonfire, watch the northern lights, listen to the call of the loon. The possibilities are endless at this 3BR/2BA home nestled on the shore of Devil Track Lake. Even on the occasional rainy day, you can enjoy the double Jacuzzi, play board games, watch DVD's, prepare a meal in the fully furnished deluxe kitchen, or sit in the sunroom with a cup of coffee. Devil Track Lake is located just 8 miles from Grand Marais and all the excellent restaurants, galleries, shops and the tranquility of its harbor, breakwall and lighthouse. Grand Marais is also home to many fun and exciting opportunities; North House Folk School offers classes in traditional crafts, The Grand Marais Playhouse puts on professional quality community theater productions throughout the year, and The Grand Marais Art Colony hosts classes and exhibits. Or stop by the Johnson Heritage Post to view the permanent and special exhibits or visit the interesting Cook County Historical Museum. The woods and waters around Devil Track Lake offer great swimming, hiking, biking, stream and lake fishing, kayaking and canoeing in the summer and excellent x-country skiing at Pincushion Mountain or miles of other ski trails located in the area, the labyrinth of snowmobile trails that cross the county, and the excitement of downhill runs at Lutsen Mountain Ski Area. The Devil Track Lake Vacation Home is your home away from home. It is the perfect place to get away from it all. The house is fully furnished-just bring your food and beverages and be ready to kick back. You won't be dissapointed!!! toilet, shower, jetted tub, double jacuzzi in attached room to bath. Devil Track Lake is great for swimming-cool, clean water all summer long. Catch fish from the dock. Free guest use of 4 kayaks and a canoe with life jackets to enjoy the water. Four kayaks and a canoe available to guests. Adult life jackets provided. A large deck with tables and chairs overlooks the lake. This was our 3rd stay at this place. We will continue to rent from them as long as its available. Excellent, very clean and had everything we needed. great location, above our expectations. Pat was more than accommodating to anything we asked and the place was perfect for the 6 of us to stay and ride for a couple days. Do not hesitate to stay here as it is in great location and well apportioned. Will rebook in the future for sure...thanks. Worked well for our group - which included kids and pets! First time we've done this type of rental, and we were pleasantly surprised by the accommodations. Everything we needed was there - a screwdriver, minnow bucket, etc. Little things we hadn't considered. The weather could have been a bit nicer (rainy, windy and cold), but nothing any of us can do about that! We enjoyed the wood stove fire inside, as opposed to an outdoor fire - only the first night we arrived were we able to have an outdoor fire! The icicles along the shore and the dock were gorgeous! Decent distance from town. Quiet and mostly remote! Very good kitchen sleeps 7-8 very nicely and Tim is good to eork with on your stay. Great location by the devil track lake. Very pleased with our hunting stay!! Located on a quiet dead end road that is great for walking or bike riding with kids. Also close to the the Superior Hiking Trail, Pincushion Mountain Recreation Area, Gunflint Hills Golf Course, and numerous other lakes.